Hearing the Christmas songs in the shops and seeing the lights being switched on in your nearest town can bring a rush of excitement but for some the sound of “Wonderful Christmas Time” can bring shudders to the spine, and not just because of Paul McCartney’s singing! The prospect of Christmas can strike fear into your heart when you’re on a budget, but our ten top tips will help you enjoy Christmas even if money is tight. “Christmas is cancelled!” – We’ve all heard these words muttered at some time or other, but there’s no need to go to this extreme. Money worries don’t need to be a reason to give up on the festive cheer. Scaling back expensive plans might be a sensible move, but try to plan for some festive fun, with the long dark winter nights approaching it helps to have something to look forward to. We all have busy lives these days, so having a few days of the year where things slow down and you can spend some time with the people that matter is a great thing. Christmas can feel very commercial, especially when you’re short on money, but actually spending your time with people is much more important than spending your money on them! Rather than buying an expensive gift you could make a “priceless promise” where you offer a service to a loved one. This might be a night of babysitting, making someone breakfast in bed or perhaps doing the washing up for a week; all things that are worth more than money. I’ve seen plenty of children over the years who’ve received that year’s expensive toy, only for the toy to be cast aside for the box it came in. With a bit of imagination the humble cardboard box can be a race car, a spaceship, pirate galleon or castle! Despite what the adverts might tell us, you can get have a delicious Christmas dinner without having to buy the most expensive stuff. Read our sneaky tricks to bring the Christmas dinner bill down but still have a delicious meal. My other half and I have always agreed a budget before Christmas on how much we’ll spend on each other, usually between £5 to £10. This strictly-enforced budget means that you need to be much more creative and thoughtful with your gift buying. Make Christmas about the things that really matter to you. This might be the religious aspect, family or simply having a few days off where you can unwind. While spending is a big part of Christmas for some, it certainly doesn’t have to be. Most of us have some sort of skill; it might be writing poetry, knitting jumpers, making fancy jams or making furniture. Put your abilities to good use and make your presents extra special. People will be thrilled with a gift that’s homemade because it shows you have put that extra bit of thought and effort into it. If you need inspiration etsy has millions of examples of things other people have made. It might be too late in the day to plan ahead for this year’s Christmas, however you’ve got plenty of time to prepare for the next one. Start in January and set yourself a budget and put money away every single month. Saving a small amount every month is much easier than waiting until November and getting into a flap. 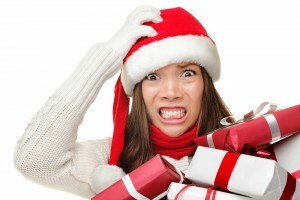 If you’ve got money worries that are stopping you from enjoying the festive season then you should get debt help now. While the mountain of sprouts, your uncle’s bad jokes and days of turkey leftovers may be a cause for concern at Christmas, money doesn’t need to be. Our online advice tool, Debt Remedy, can give you a solution to your money worries within 20 minutes and you can then enjoy the rest of your Christmas break!